I was stuck for last couple of days on this error. So made it the title of this post. A very simple exception - ClassNotFound. We know the jar is missing but what if we know that the exception persists even if the jar is present. I used Ivy as my dependency manager. To know more on Apache Ivy you can refer to my detailed post I posted earlier. 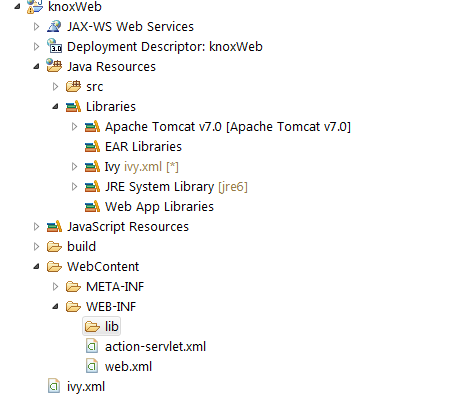 Let Eclipse know that it can search the jars from ivy library folder which is not same as WEB-INF/lib. So now I will explain how to resolve above problem with 2nd approach in Eclipse. Right click the project and select properties. Now go to Deployment Assembly. Now select Add and select Java build path entries. Ivy option is automatically populated. Select that. And you are done.Select Apply and Ok. ClassNotFound Exception vanishes. cURL is a computer software project providing a library and command-line tool for transferring data using various protocols. The cURL project produces two products, libcurl and cURL. It was first released in 1997. In this post we will see how do we install this tool and use it to perform some common HTTP requests like GET. Then you will have to select version. You can select unspecified. This will directly take you to download link which on click will give you popup to download the zip file. Add this folder in your environment variables and you are done. You can then execute curl command from cmd. This will essentially disable proxy. But you may not have to do so.